With Muslims making up about two-thirds of the world’s population, fashion brands have been quick to respond to the ever-increasing needs and demands of ‘modest clothes’ – especially after renowned designers have been more than welcoming towards Muslim culture. American Eagle, a brand which targets the youth, has also finally jumped on the band wagon of being inclusive with the range and designs of its collections, as reported by Glamour. 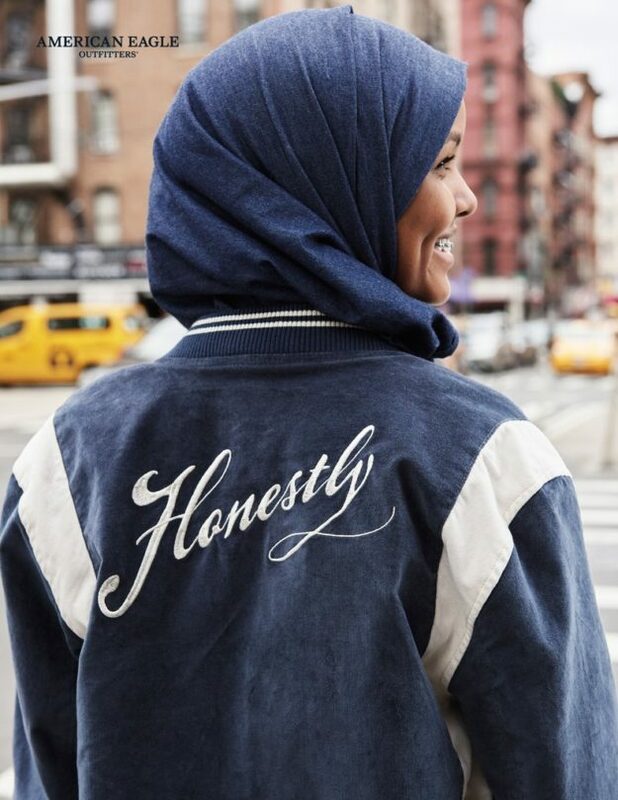 The brand introduced denim hijabs this month with retouched new ads that debuted on Instagram – featuring Muslim model Halima Aden and the collection is on sale on the brand’s website. High-end and mainstream brands, however, are gradually redirecting their designs to be more diverse – and in turn, expanding their clientele. Active-wear giant Nike introduced athletic hijabs, and in February, Aden became the first hijab wearing model signed by IMG, and to walk in Yeezy’s Season 5 Fall 2017 show. There you go – even Kanye West is on board!